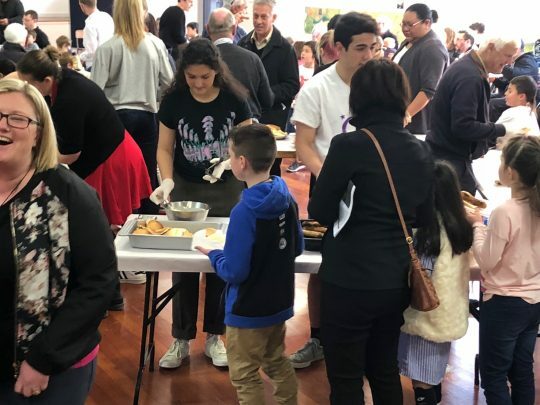 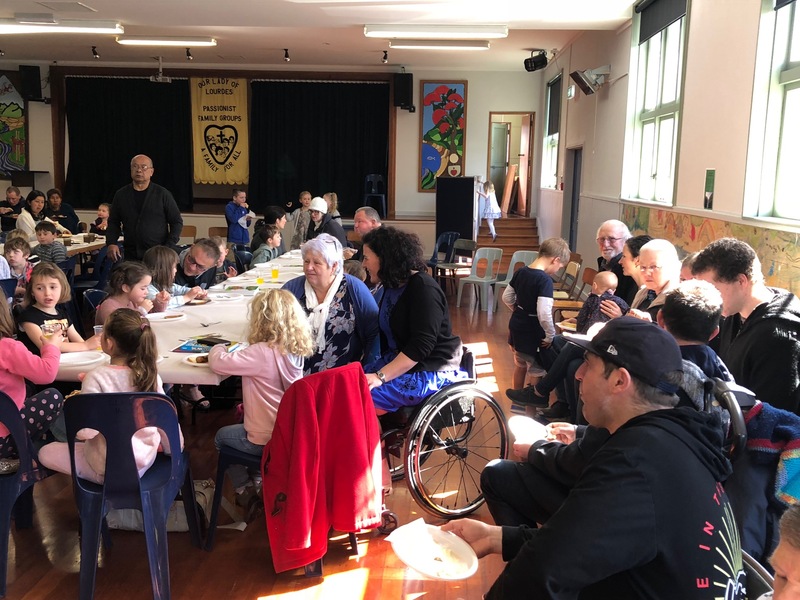 Once a year for the past 24 years the Passionist Family Groups at Our Lady of Lourdes Parish in Palmerston North have hosted a pancake breakfast after the Sunday morning Mass. In the early years we had to bring samples out on plates after Mass to entice Parishioners to take the time to sit, enjoy the company of others and hospitality. Now though it’s more familiar and over the years the amount of pancakes and sausages cooked has certainly increased. 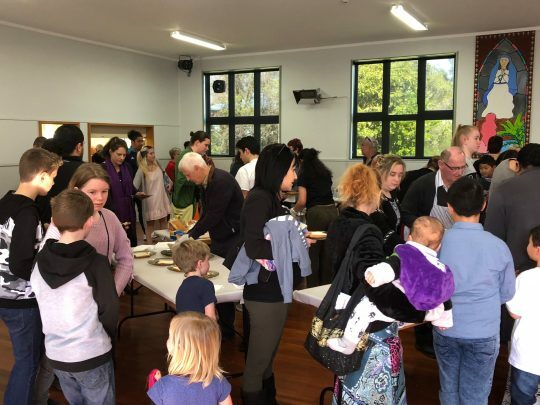 This is a good sign!! 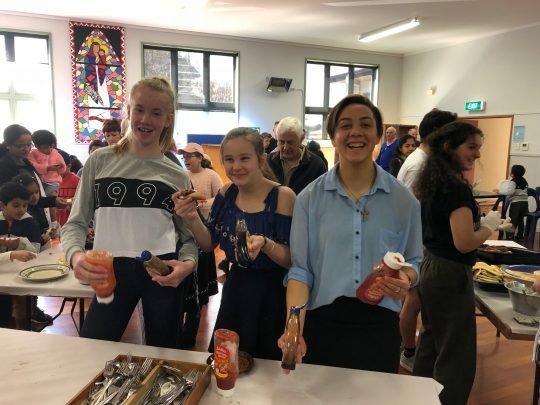 The date for the event is always coordinated with the Parish School as a Sunday Parish/School Mass, allowing the full community to participate on all levels. 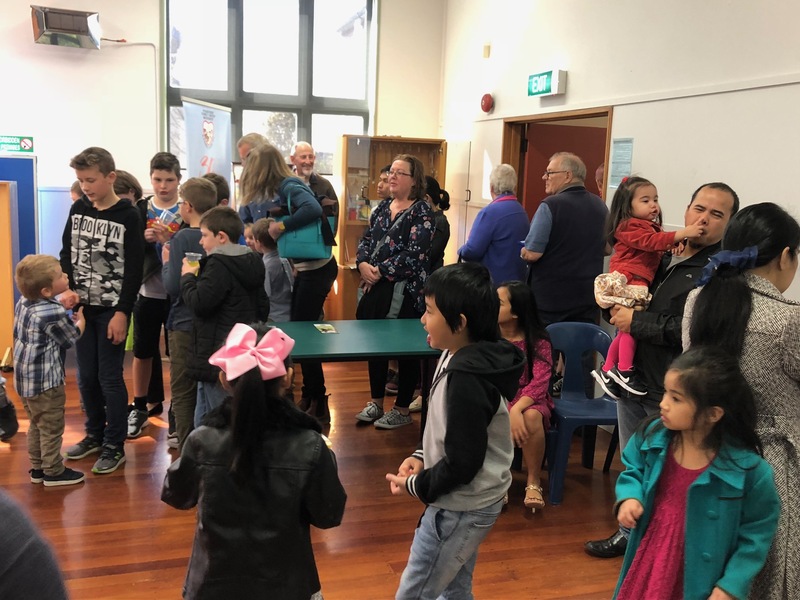 To help cover cost we have an ice cream container at the entrance and ask for a gold coin donation. 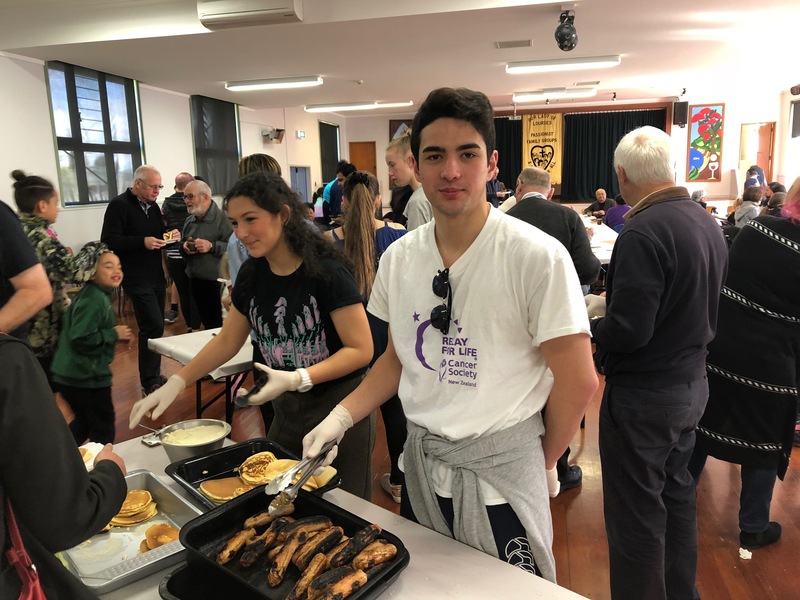 The youth always enjoy helping with the cooking or serving up the pancakes lashed with cream and syrups, and sausages with sauce and onions on bread followed by tea and coffee, water and juice. 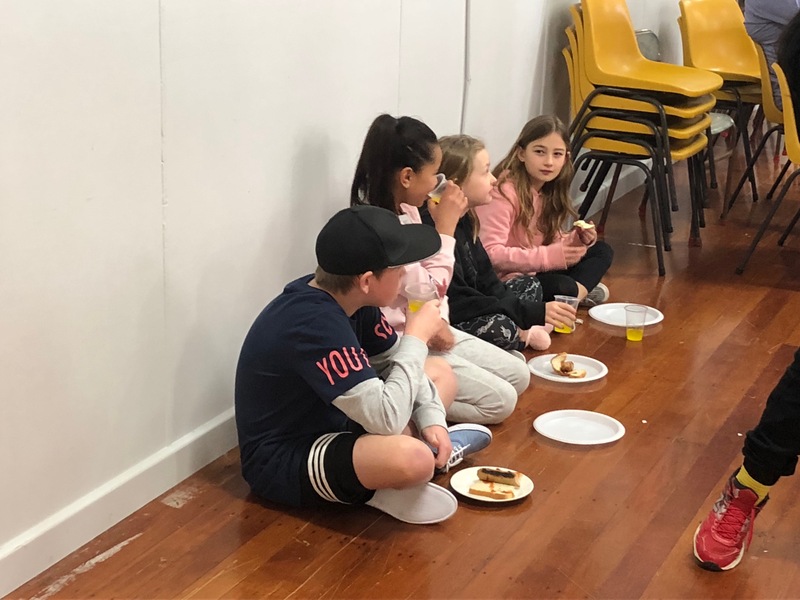 It’s always fun in the kitchen and thanks to ‘Kathy’s recipe’ the Pancakes are fail proof!! The event has helped the PFGM leader group form closer relationships, and also promoted the groups within the Parish and School Community. Thanks to the generosity of everyone involved for giving time to help others feel welcomed, included and accepted, thereby creating a day enjoyed by all. Add more milk if too thick. Should be reasonably runny.